Former West Ham United defender Julien Faubert is training with Kilmarnock after the Frenchman cut short his trial spell with St Johnstone. 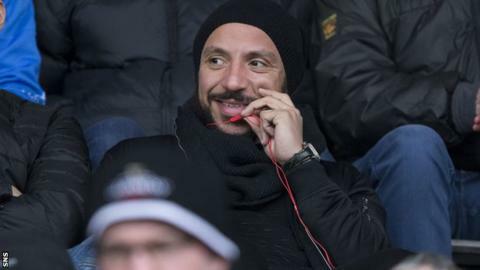 The 32-year-old Frenchman had watched from the stand as St Johnstone beat Motherwell on Saturday. But Tommy Wright confirmed that Faubert had left and the Saints boss thought he had options to move further afield. "He has had a couple of offers, I believe one in America and another offer," Wright said on Monday. "I fully understand why he has gone. He did extremely well here, a really good professional, but there are a couple of other options. "Maybe warmer climates are more attractive." Faubert began his career with Cannes and had a loan spell with Real Madrid as well as playing for Elazigspor in Turkey. His second spell with Bordeaux came to an end in the summer. Le Havre-born Faubert has the rare distinction of being capped for two countries - France and Martinique.